Why Is Share Count Not Getting Updated? Sassy Social Share and Super Socializer plugins cache share count to display it without sending request to corresponding APIs, every time page loads. This reduces page load time, significantly. You can find share count not getting updated after someone shared your post/page on social network. 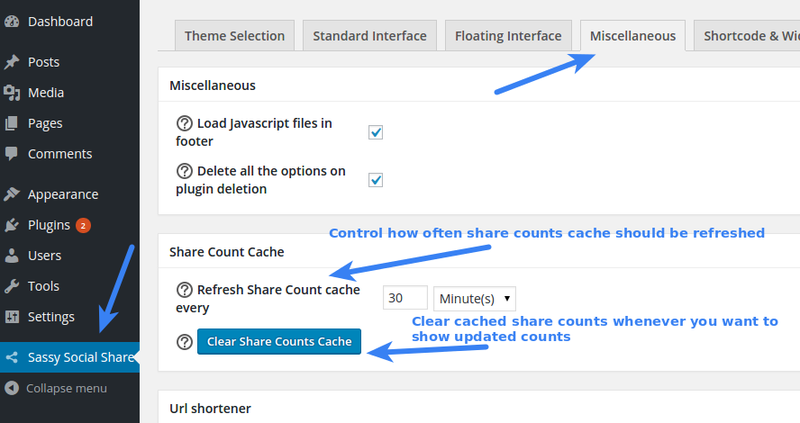 Share count will be fetched from the corresponding APIs according to the timeframe you have set in Refresh Share Count cache every option as shown in the screenshot above. Say, you have set it to 5 Minutes. Then, after fetching the share count initially from the APIs, it will be fetched and updated again after 5 Minutes. During those five minutes share count will remain constant regardless of how many times your page gets shared. More frequent cache refresh results in slower page loading, as share count will be requested from APIs more frequently. 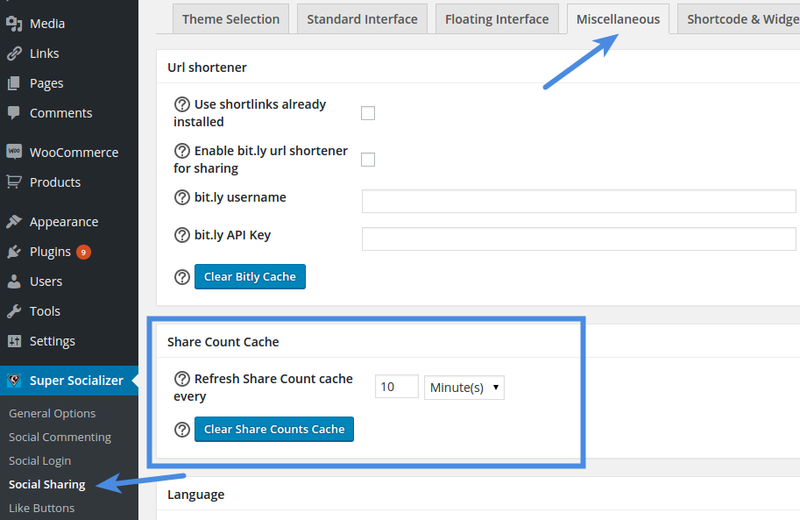 If you want to clear cached share count at once, you can do so by clicking the Clear Share Counts Cache button as shown in the screenshot above. This will display the latest share count.